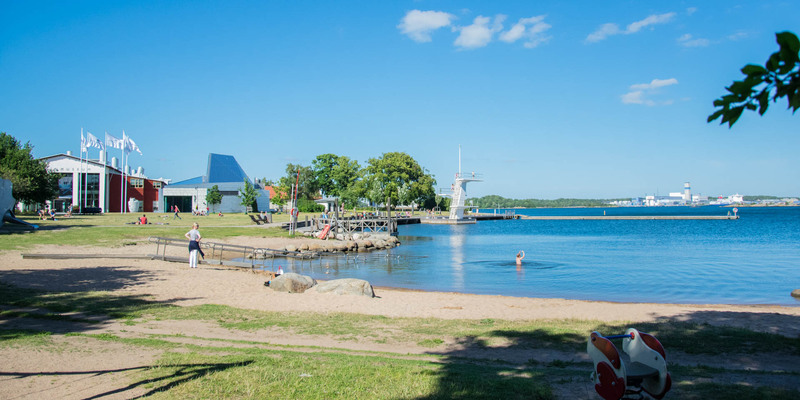 Stumholmens Badplats is a bathing spot on the island of Stumholmen, which can be reached comfortably within 10 minutes by foot from the city center of Karlskrona. 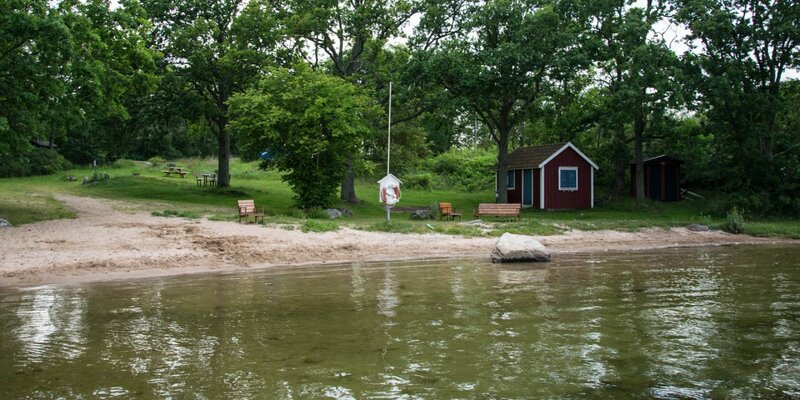 Stumholmens Badplatse is located near the Marinmuseum on the sea side of the island. 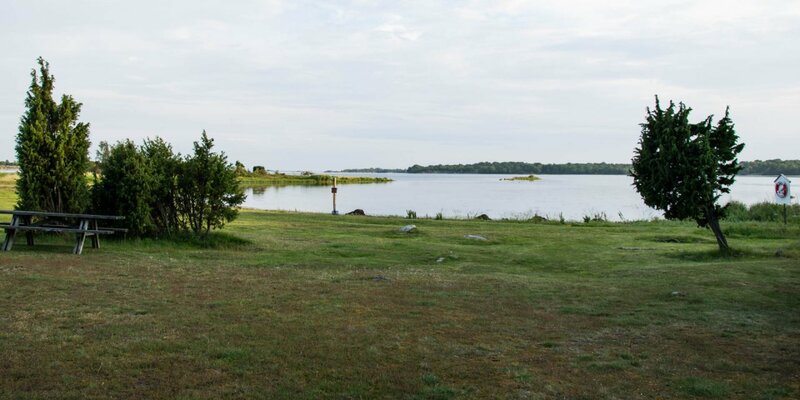 A large lawn with a beautiful view of the inner archipelago and the passing island ferries invites you to sunbath, picnic and relax. For a quick jump into the cool waters, a 5-meter diving tower can be used. For those who prefer a slower experience, can take the long jetty or the 50-meter-long sandy beach. The shore of the beach is relatively shallow and well suited for children. In the background of the beach are some shade-spreading trees as well as a playground. Furthermore, the beach is equipped with a wheelchair ramp. Toilets and showers are located on the edge of the lawn to the museum. There is also an restaurant in the entrance hall of the museum. 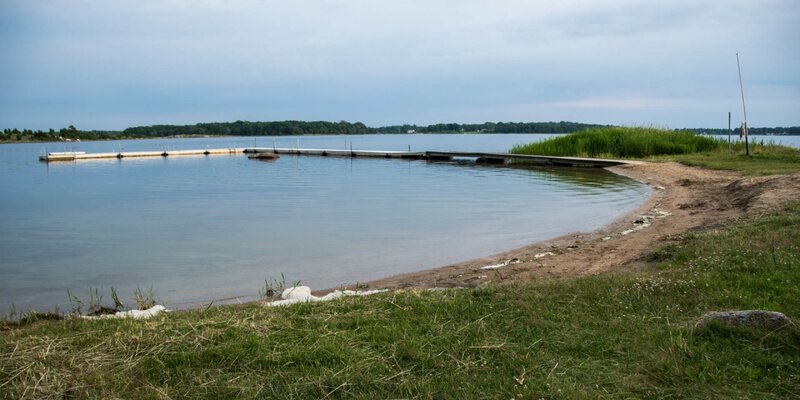 For loading and unloading, you can drive up to the lawn by car, but there are no parking spots on the island except for disabled parking spaces. The nearest parking spots (with fee) are the parking lanes in the nearby streets at the edge of the city center of Karlskrona.